Raytheon has announced that its intelligence, information and services unit will partner with HawkEye 360 in developing next-generation geospatial systems for the government sector’s situational awareness missions. The company will integrate its analytics services with relevant data such as HawkEye’s geospatial information ahead of the launch of the latter’s cluster of three Pathfinder satellites by the end of the year, Raytheon said Monday. HawkEye’s small, low-flying satellites are fitted with location-based analytics and radio frequency-mapping technology to monitor activities such as illegal fishing and cargo fleet logistics operations. 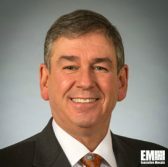 Dave Wajsgras, president of Raytheon IIS and four-time Wash 100 awardee, said that the company’s partnership with HawkEye for the satellite constellation project will provide U.S. and international government clients with advanced geospatial platforms at a lower cost. The full constellation of HawkEye satellites, including additional clusters, is expected to be in orbit by 2020. HawkEye 360 is a Herndon, Va.-based satellite firm that specializes in space-based global intelligence network systems that use RF technology for tracking maritime, emergency response and logistics operations for aircraft and ground transportation.